SUNSKY: Hi Friend, it doesn't work on camera nvr. Thanks. SUNSKY: Dear Gerald, sorry for that the biggest one is 500GB in stock, hope you can understand. Thanks! SUNSKY: Dear Asturiel, it is HDD, thanks! 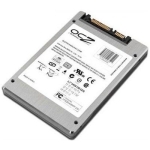 SUNSKY: Dear friend,for this model is not SSD drive.Please check model S-HDD-2004B/S-HDD-2004A,thanks.